Please select a size. 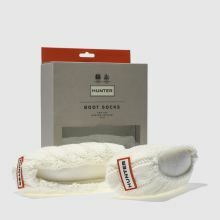 UK 3-5 - In StockUK 6-8 - In Stock Please select a size. 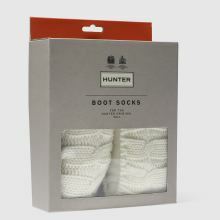 When the time comes for wellies, make sure you keep your tootsies cosy with the Hunter 6 Stitch Cable Sock. 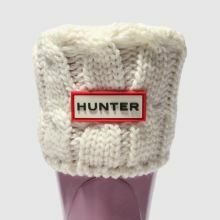 This stone fabric accessory features a tonal cable knitted cuff that folds perfectly over your favourite Hunter wellies. Branding completes.